Call on Orange Home Services for seasonal maintenance, and avoid malfunctions with your heating system when you need it most. During the coldest days of winter in the Fox Valley area, your furnace or boiler carries a heavy workload. When all components are in peak condition and running properly, you’ll benefit from optimum energy efficiency, lower sound levels, reduced operational costs, superior heating capacity, healthier air quality, greater reliability, and extended service life. 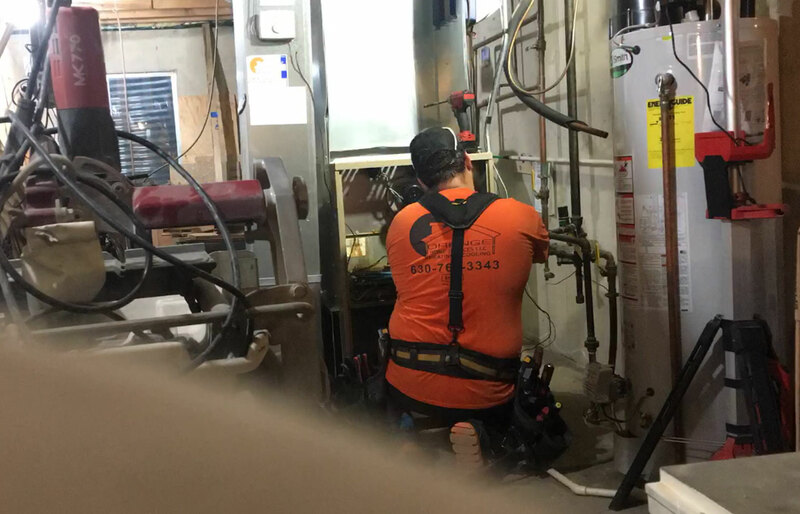 We handle all makes, models, and styles of heating options, providing professional cleaning, tuning, and troubleshooting at affordable prices. Family owned and operated, with over 25 years of HVAC industry experience, Orange Home Services maintains qualification as a Bryant Factory Authorized Dealer and Comfort 24/7 Provider. We not only follow strict maintenance procedures and uphold higher standards of workmanship, but customize our services to better serve your specific challenges and goals. Call our team for heating service you can count on! Our trained and certified technicians are backed by proper licensing and insurance and take pride in a personalized service level that ensures a more rewarding process and results. At Orange Home Services we focus on quality rather than quantity, and offer priority service throughout Batavia, Elburn, Geneva, St. Charles, North Aurora & Aurora, IL.